It never ceases to amaze me how much metal talent there is between these Canadian borders. From the Diminished Fifth roster in the East straight through to Vancouver’s Anciients in the West, top quality metal litters the map at all points in between. A heavyweight representing the left coast is Vernon, BC’s XUL. Their album Malignance dropped last year and it’s a shame I’m only hearing it now. Malignance is a fitting title for the eight tracks of death metal madness within, because this is anything but benign. 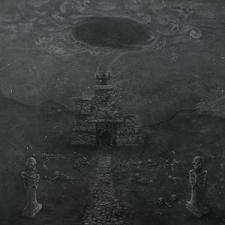 Xul’s articulate and speedball riffs leave a trail of black smoke in their wake, darkening the skies in a carcinogenic pall. Absolute demoncy befits the scowling vocals of Levi Meyers plastering bile over the frenetic guitar work of Wallace Hoffman and Bill Ferguson (also contributing vocals). The rhythm section of Lowell Winters (drums) and Marlow Dieter (bass) spur the beast forward with nimble fingers and supernatural speed. These entities coalesce to embody the darkened horde of blackened death metal of tracks such as “Mastication of Putrescent Empyrean Remains” and “Incinerate the Earth”. Fusing the malevolence and grime of death metal with the flair and urgency of thrash and the scorching hate of black metal, Malignance beats with a heart as cold as night. Malignance features a stunning display of musicianship with its ultra-slick leads, hyperspeed percussion and incredible bass tone. Meyers’s fetid vocals salivating on the album’s rotting body ties the whole gruesome scene together. Xul wreak “Vengeance” on the ears of death metal fans, forcing their way in the cortex to fester and boil. This is one Malignance you’ll be dying to have.